Do you want to enjoy the outdoor more? Do you need more space or protection from the sun? We have you covered! W.A. 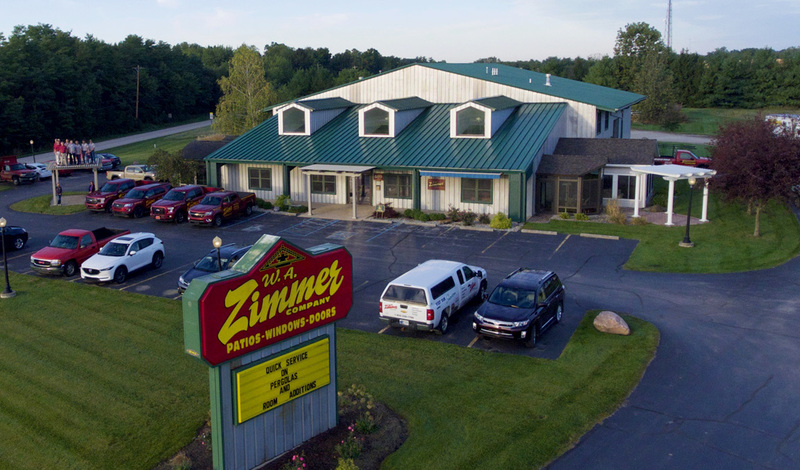 Zimmer has been in business for over 40 years and we’d love to help you with your next home improvement project. Visit our showroom or contact us today to discuss a new sunroom, pergola, patio cover, retractable awning, shade screen, rattan furniture, or replacement windows and doors. One of our designers will come out, take a look at your space, and put together an estimate. We work all over Northeast Indiana including Huntington, Fort Wayne, Bluffton, Kendallville, Angola, Columbia City, Warsaw, South Bend, Elkhart, Mishawaka, Wabash, Marion, Decatur, and surrounding areas.